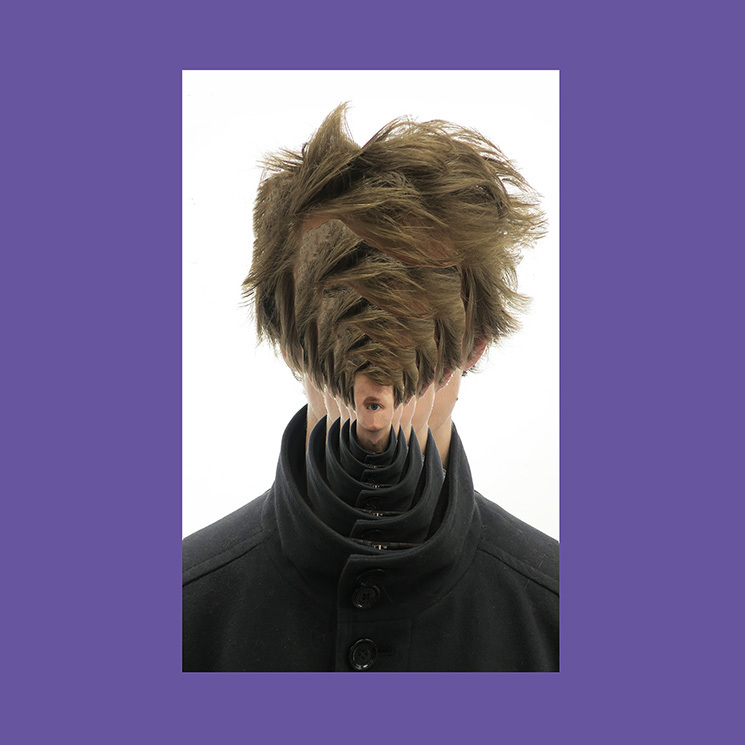 On the cover of his second proper album as Joni Void, Jean Cousin's portrait appears in the centre of a purple matting, the same image superimposed overtop of it, repeated recursively towards the centre of the artist's face to trippy, faux-infinite effect. But for those who behold the image and squint to follow it to its centre, instead of the artist's face, just a single eye stares back, relaxed and miniscule. The name for this presentation is mise en abyme — the same formal technique from which the album borrows its title and its aesthetic. It's a framing device for a framing device and a winking allusion to the cover art for Joni Void's 2017 debut, Selfless. Born out of the same spirit of collaboration and tortured plunderphonics, Mise En Abyme sets things spinning in a new direction — if Selfless had the producer disappearing into the commotion of modernity, sublimating himself among multiple narrators, here, he's retreating inward to rediscover who he is, each swirling entry rendered from a more subdued place of quiet contemplation. Calling once again on the community that surrounds him to set things in motion, the first half of the record locks a series of vulnerable features from peers to downtempo rhythmic palpitations, providing compelling new looks at artists working outside the comfort zones of their respective practices. Instead of the wry deadpan stream of consciousness observations that define her work as YlangYlang, Catherine Debard provides a compelling interior drift through the fluttering bass palpitations of "Lov-Ender," while harpist Sarah Pagé — formerly of Esmerine and the Barr Brothers — steps out from behind her signature instrument to deliver introspective warmth on "Abusers." But what's perhaps more significant is Cousin's own presence. Previously absent from his work as Joni Void, his voice gradually emerges in the bottom half, first providing the racing vocal on "Voix Sans Issue," crescendoing like an engine shifting up gears, then unleashing a torrent of emotion on his climactic confessional text-to-speech rap "Deep Impression." "Persistence," meanwhile, mines an old Rhodes piece Cousin once composed for an abandoned Johnny Ripper track.